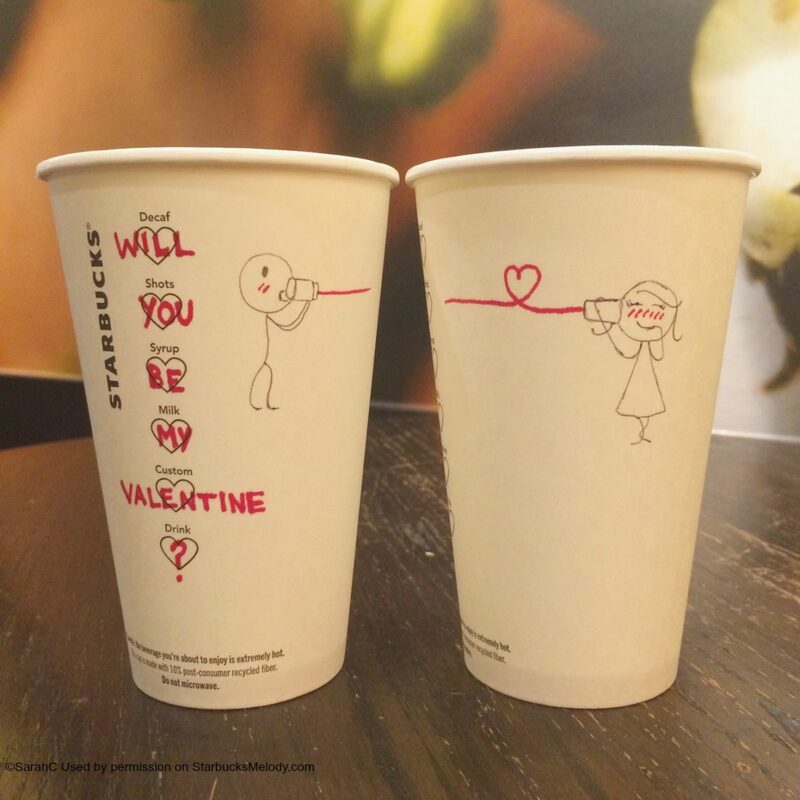 Be on the look out for super cute Starbucks Valentine’s Day cups! Starting in the next few days, you’ll see some super cute Valentine’s Day-themed cups at Starbucks. 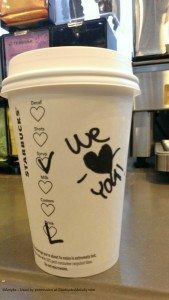 You might even find your neighborhood barista writing in red Sharpie now and then. I asked (via social media) for a few photos of the new cups, and I received these really excellent photos! Thank you to the partners who emailed these to me. (By the way, you can always reach me via the contact form on this site). So cute! 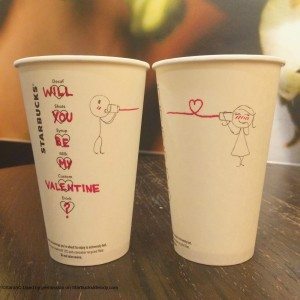 I LOVE the paper cups with the hearts! Starbucks should have done this before. I can’t wait to get one! What a great idea! 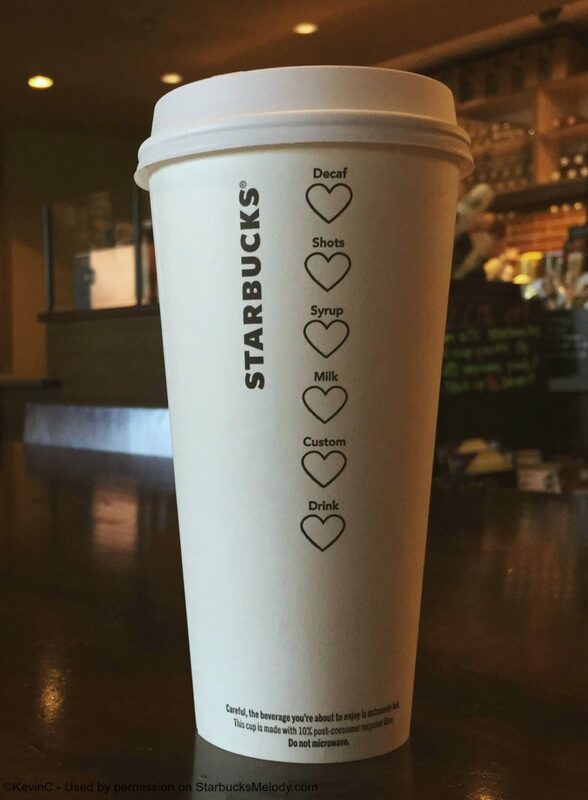 The cups with the hearts are the cutest idea ever! I started getting them a few days ago. I wish they would have made a reusable one like they did at Christmas. I would have bought a bunch! I just got one earlier today and are they so cute! They should do this with the cold cups too around the cup in white print like the Holiday ones. Maybe they should do little turkey or leaf silhouettes for Fall/Thanksgiving. Just an idea, lol! @Ricardo Love the idea of leaf silhouettes for the fall! Cute! I like the leaf idea. Snowflakes in winter would be good too! Love these and the ideas for other holidays. My daughter and I think little pumpkins would look great at Halloween. @Claire that is so sad that those awful printed labels cover the hearts. I hate those labels and wish they wouldn’t use them at all. I guess it’s necessary at the DT but never understand it when I go inside the store. 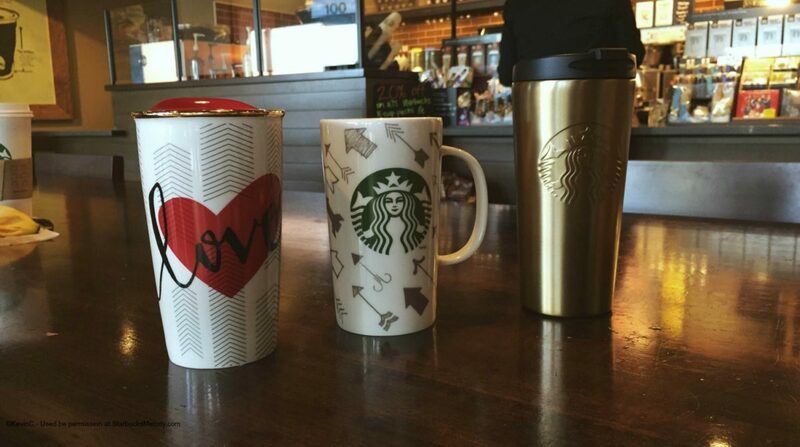 @BeckyE – Love the pumpkins idea – it also could be a great way to re-launch the Pumpkin Spice Latte too. @Melody, that’s a fantastic idea about using those little pumpkins on cups for re-launching pumpkin spice latte!